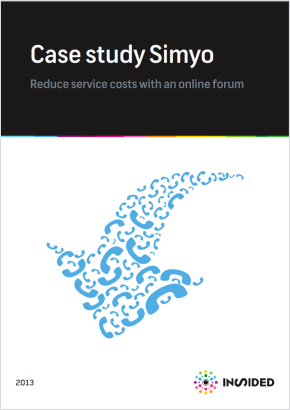 Reduce service costs with an online forum. Simyo is a young telecom service provider with a unique background. Simyo was the first online-only service provider in the Netherlands. This was exceptional at the time and is still one of the company's most important cornerstones. Simyo maintains a low-cost strategy, offering a high-quality network at low rates. In order to keep its operational costs to a minimum, Simyo only operates online. Users just manage all aspects of their accounts themselves on the Simyo website. In order to complement this online service strategy, Simyo has implemented a customer support community.